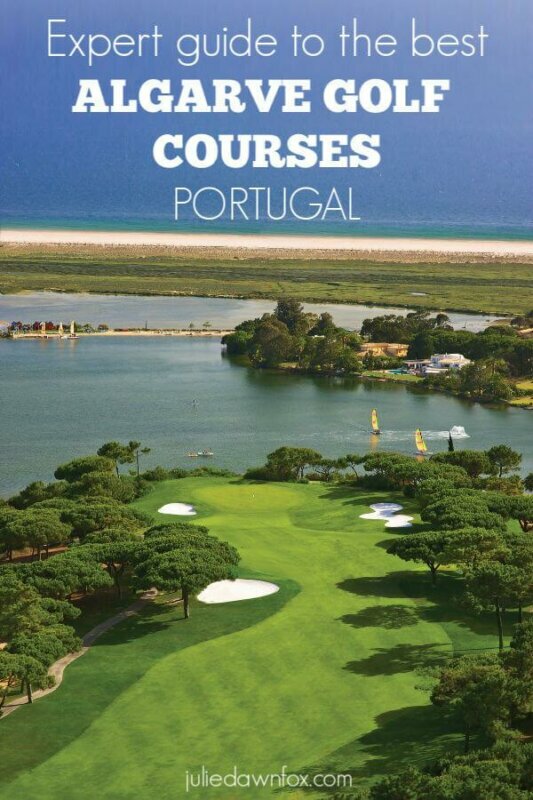 In-depth Expert Guide To Algarve Golf Courses. Which Is Best For You? Contributed by golfing expert, Andy Waple (see bio below). These days it’s hard to imagine the Algarve without golf, yet a ball was not struck on this sunshine coast until 1966, when the first of many Algarve golf courses was laid out at the newly-emerging Penina resort near Portimão in the west of the region. Roll on a little over 50 years and the Algarve is Europe’s number one golf destination, attracting players from all over the world. In January 2019, the region retained its place as the top European golf destination after sealing its latest major success at the Today’s Golfer Travel Awards. It was its eighth title since the awards were launched in 2011 as the Algarve retained its crown as Best Golf Destination in Continental Europe for the third year running as voted for by readers of the popular UK golf publication. 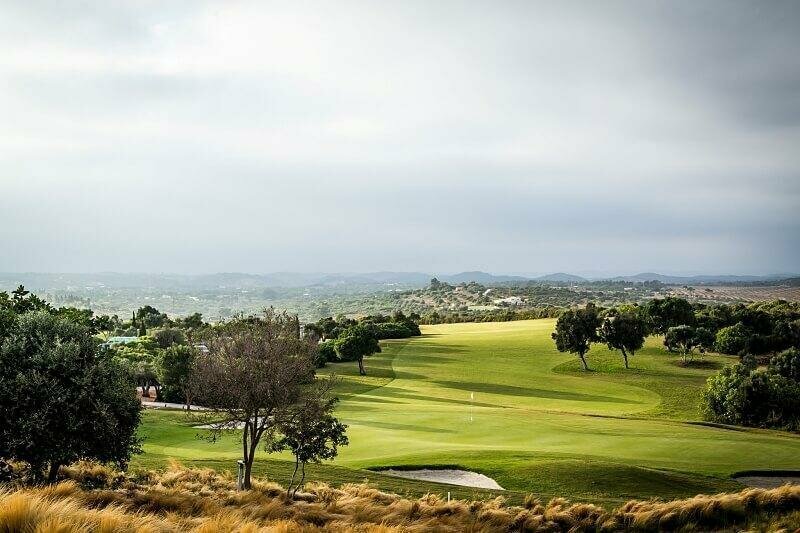 With a staggering 43 18-hole or nine-hole layouts that can be played all-year-round, it’s of no wonder the Algarve draws hundreds of thousands of golfers to its fairways each year. The Algarve is the southernmost region of mainland Portugal, and more than half of the country’s courses decorate the 150 kilometres of coastline, which also boasts spectacular beaches, pretty rocky coves, small fishing villages and a rich cultural heritage. The weather is usually near perfect for winter golf although you can expect occasional rain. This is a perfect destination for golfers of all ages and abilities, with something to suit every taste and budget and off-course it is ideal for all kinds of groups – from the parties of men and women from their local clubs – to retired couples, families and juniors. I started playing there during holidays in the early 1980s, visiting the newly emerging Vilamoura, the luxurious Quinta do Lago estate and the nearby Vale do Lobo. 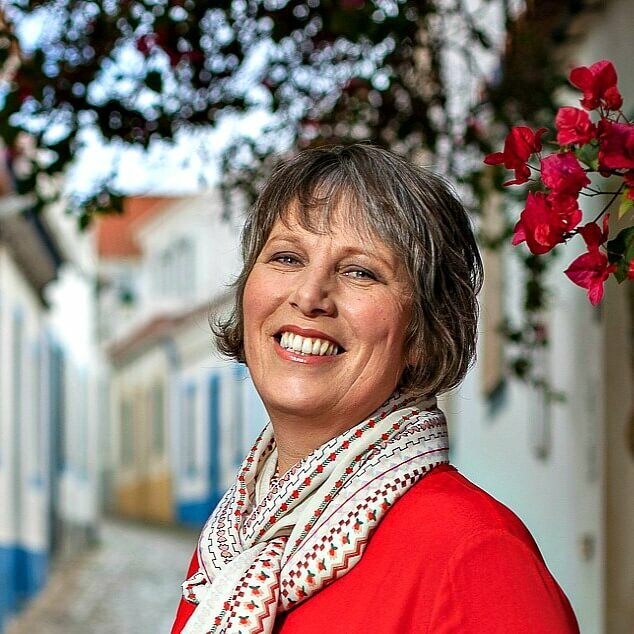 I was instantly hooked, and the pleasure gained from those excursions have led me back to explore not just the rest of the Algarve, but many other areas of Portugal as well. 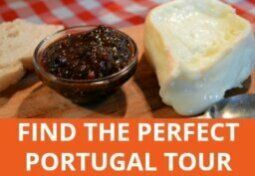 While the Algarve can’t escape its mass tourist destination tag it has retained some charm that is typically Portuguese and you do not have to stray too far to immerse yourself in culture and the traditional Algarvian way of life. Golfers of course will firstly have their minds on the quality of the fairways and greens, and here they are spoiled for choice. The region is typically sub divided into the Western Algarve, Central Algarve and Eastern Algarve. The Western Algarve has traditionally attracted tourists who appreciate unspoiled sandy coves, small seaside villages and a less hectic pace of life than the hustle and bustle of the more mainstream crowded resorts, all thanks to its distance from Faro airport. Things have changed since the construction of the A22 toll motorway that connects the west with Faro, yet it is still a place that best suits the independent traveller with access to a rental car which gives the freedom to explore some beautiful fishing villages such as Salema and Burgau. 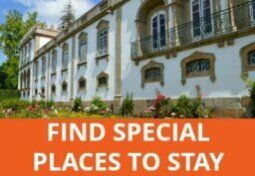 Those not content with wandering around here can head inland to the peaceful Monchique mountains with a lovely stop off at the old spa at Caldas de Monchique, explore the old Moorish town of Silves, or head off to the surfers’ paradise on the wild Atlantic beaches around Monte Clérigo and Praia da Amoreira. Near the end of the A22 toll motorway is the bustling resort of Lagos. With its pleasant modern marina, this old town is one of the best to visit throughout the entire Algarve. During the tourist high season it is alive at night and there is no shortage of restaurants and bars to suit all budgets and tastes. 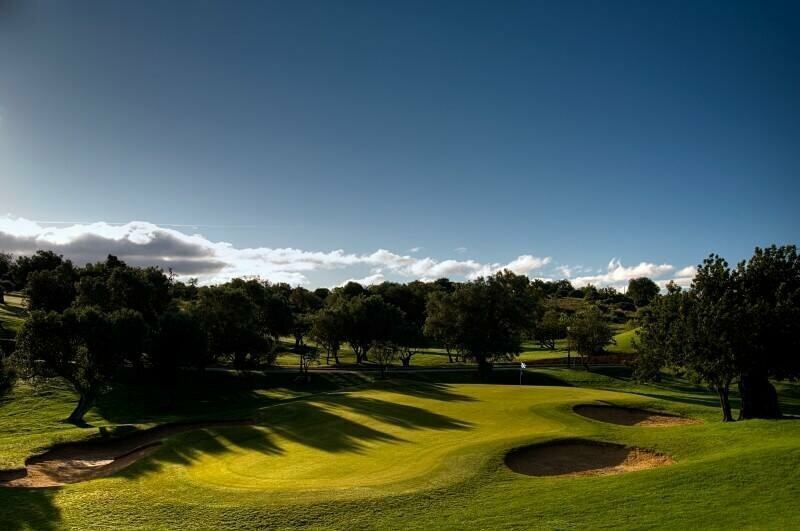 Morgado do Reguengo Golf Resort Operated by NAU Hotels, the two courses Alamos & Morgado lay side-by-side just inland from Portimão. Morgado has wide fairways and some tricky holes, while the sister course is considered the easier of the two. The nice, shared clubhouse is good for lunch and offers the resort’s own wine harvested from grapes grown on surrounding land. The Pestana Group, Portugal’s largest hotel and leisure operator has four of its six golf courses in the Western Algarve and is noted for its mid-range value for money accommodation and golf. The 18 hole Alto Golf is situated between Alvor and Praia da Roche, so is handy for travellers staying in the three nearby Pestana Hotels. It was the last course designed by Henry Cotton and is popular with holidaymakers and casual golfers. A little inland lies Pestana’s Silves layout, named after the historic town itself found just a few miles further north. Silves, a former Moorish stronghold, offers a fascinating glimpse into old-style Algarvian life and is well worth a visit. The golf course is out in the sticks set among orchards and old farms. It is fairly new by golf courses standards, and while it offers some good holes, it needs time to develop to its full potential. A little further south towards the coast and the dramatic resort of Carvoeiro is Pestana’s Gramacho course that provides the golfer with a mix of very good holes interspersed with some rather odd ones, perhaps because it was originally designed in the early 1970s as a nine-hole course featuring two sets of tees. Later Nick Price contributed his thoughts to the creation of the full 18 holes as it is today. After some rather unimpressive starting holes it ends very strongly, particularly the fantastic uphill 18th. Vale da Pinta is situated nearby and weaves through rolling hills and olive groves with a couple of lakes adding extra interest. More of a player’s course than some, demanding thoughtful shotmaking for success. Amendoeira Resort – This upscale resort, situated slightly inland and visible from the A22 remains unfinished due to the ravages of the last recession, but this does not take away the quality of the golf and the exceptional service. Its two golf courses, Faldo and O’Connor Jnr are exceptional. Boavista Golf & Spa Resort – On the outskirts of Lagos, this club has a bit of an English members’ club feel about it and indeed it is the base for a thriving ex-pats group whose members live on the property or further afield. When in good shape it is an excellent option with a great variety of holes, including the intrepid par 3 6th playing over a ravine to an extremely undulating green. Well worth playing and the lively clubhouse is excellent. 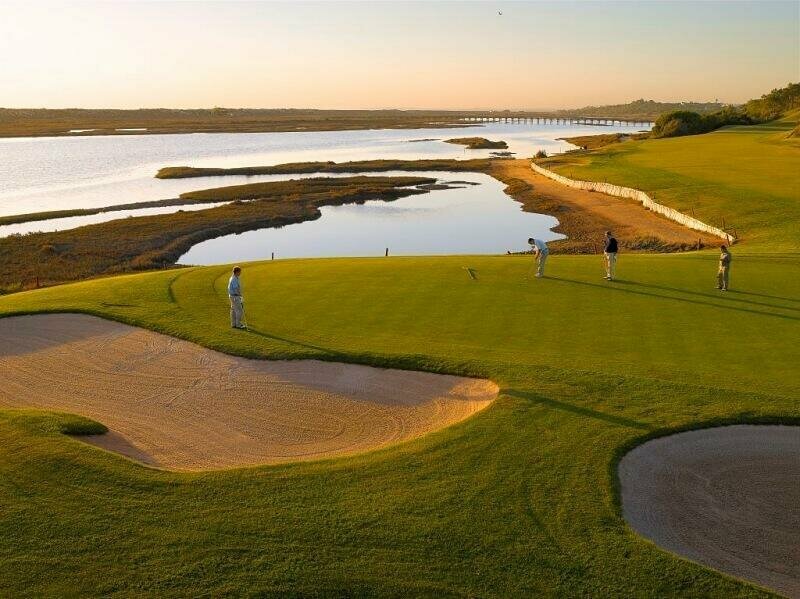 Espiche Golf – This really is a course that divides opinions; you will either love or hate it. Despite its drop-dead gorgeous clubhouse, voted the 3rd best of the year in the world in 2015, its course is very demanding and at times, frustrating. Take plenty of balls and be prepared to lose them in the most unlikely of places. Palmares Beach & Golf Resort – Eyebrows were raised when Onyria, the owners of the Palmares club, undertook a dramatic remodeling of their course that they bought and reopened in 2011 as the Palmares Beach & Golf Resort high above the Meia Praia shoreline at Lagos. First constructed in the 1970s, it was one of the early designs of Frank Pennink, who also crafted the Old Course at Vilamoura, both with great reputations. Onyria brought in Robert Trent Jnr to remodel the course and introduce three tracks of nine over the original 18. Despite some initial misgivings, nearly everybody agrees the transformation has been a great success. 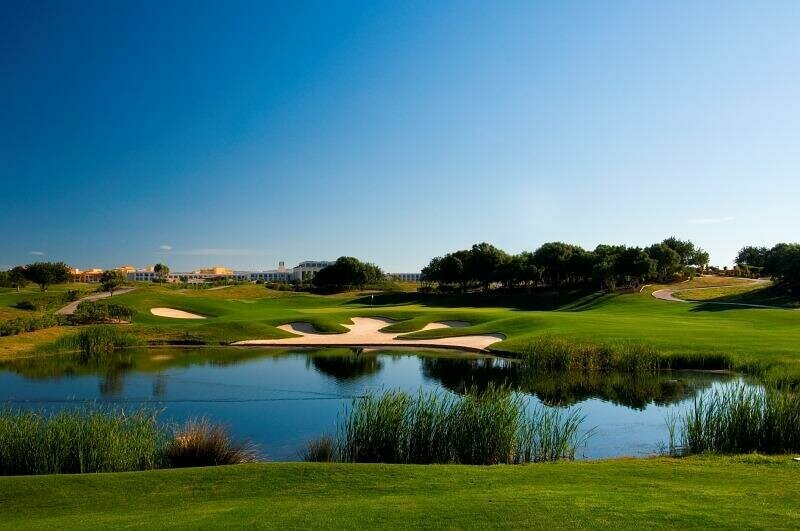 Palmares is now rightly regarded as not only the best course in the Western Algarve, but also among Europe’s finest. Trent Jones Jnr likes natural environment and typography to dictate his lay outs and he is not short of ideas when it comes to putting a golf course together and knows golfers like a challenge, variety and options, depending on their ability and weather conditions. So here you will find some long par fours and others which will entice the big hitters to have a go for the green from the tee, a number of long and short par threes, fives offering birdie opportunities and large, undulating greens which will keep everybody on their putting toes. Oh, and the view from the clubhouse terrace overlooking Alvor is sensational. 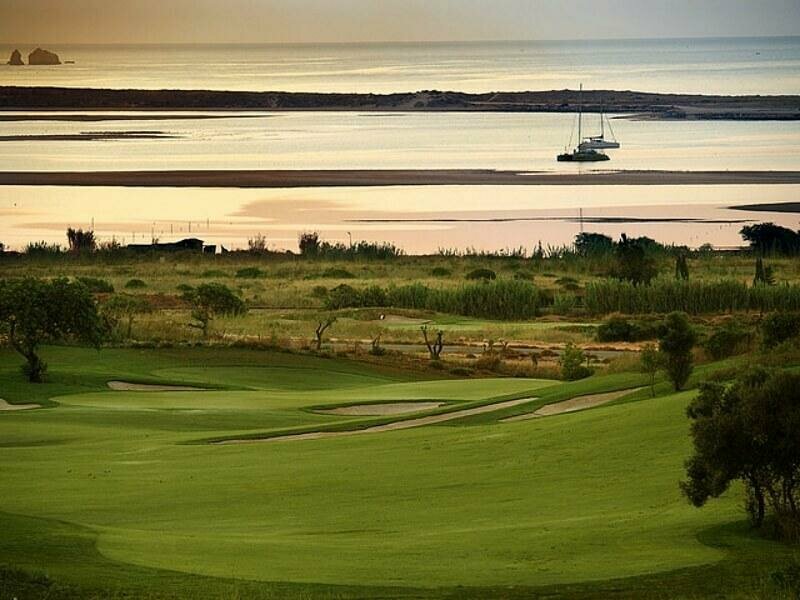 Santo António Golf, formerly Parque da Floresta, this is one of the Algarve’s most westerly courses. Meandering around a valley and surrounded by holiday properties it features some sloping fairways, particularly on the front nine. Its small, well bunkered greens, many near lakes on the back nine, require a good degree of accuracy. Penina Hotel & Golf Resort – Penina continues to attract golfers by the score, particularly those who like the Championship course’s flat, parkland character. Today the original plantings of pines, eucalyptus and shrubs have matured to create a setting that is very appealing. The drainage ditches, lakes and ponds that bring water into play on almost half the holes add character and present demanding hazards that are a real test of accuracy and course management. While the land is generally flat, the holes are pretty long and this is certainly not a course where players could expect to score below their handicap. Penina maybe the oldest on the Algarve, but thanks to continual drainage upgrades it remains among the best – proof, as we all know, that tinkering with a good original lay-out does not necessarily produce improvements. Vale de Milho – This is the perfect family holiday nine-hole course designed by Dave Thomas, near the centre of Carvoeiro. Being a well maintained, scaled-down version of a full-sized course playing as a 9-hole par 3 course for adults and a customised par 35 for juniors it allows young beginners to practice and learn the essence of playing golf on a real course, whilst allowing more seasoned golfers to sharpen up their iron play and short game. This area between Faro and Carvoeiro is the most densely populated sector of the Algarve attracting the greatest number of visitors. There is plenty of choice for a holiday to suit all budgets and tastes, from the lavishly up-market Quinta do Lago estate just 20 minutes from the airport, to the noisy, brash resorts of Albufeira and Praia da Rocha. But these are extremes, and in between lay dozens of resorts and locations offering all kinds of entertainment and accommodation making this part of Portugal one of Europe’s holiday hotspots. It offers a number of options for the golfing fraternity, from the exclusive, expensive, unashamed luxury of Quinta do Lago and its surroundings, to the more affordable courses such as some of those found elsewhere. While many courses are owned by resort chains, there are a number of independent, individual courses dotted around the coastline and as a result, this part of the Algarve offers golf to suit everybody whatever the size of their pockets or level of ability. An old favourite, Quinta do Lago is a low density eye-watering up-scale luxurious resort dotted with some fantastic and expensive properties making it a great place for celebrity spotting; the rich and famous have properties there and the entire estate is a feast for envious eyes. It has three resort courses, open to all prepared to pay the green fees, and they remain on every golfer’s bucket list, whether or not they can afford to stay on the estate in a number of exclusive hotels, villas and up-market time share properties. The original South course opened in 1974, along with the recently remodeled North course. Laranjal joined the pair in 2009. The south is considered to be the best and if you haven’t played it, you should, despite the hefty green fee. Laranjal and the North are good strategic courses that will test your club selection skills. The three are set amongst old pine, orange and olive trees on this immaculate estate. 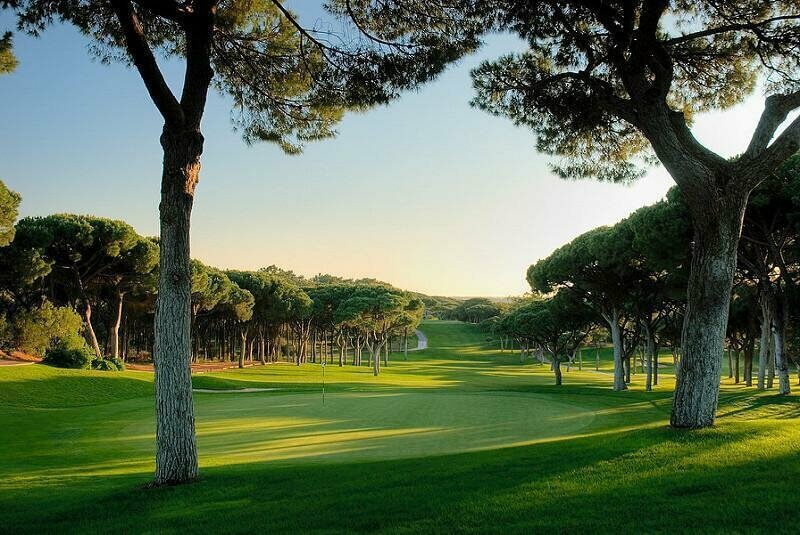 Wedged between the Quinta courses within the estate is the 27-hole Pinheiros Altos operated by JWW Hotels. The three loops of nine, the Pines, Olives and Corks offer good variety and plenty of interest. Also on the estate is San Lorenzo, set on the wild Atlantic shoreline amid the marshland bird sanctuary of the Ria Formosa. Opened in 1988 it provides a thrilling golfing experience after a pretty tame first five opening holes and is regarded by many as one of the finest courses in Portugal. The stretch overlooking the ocean from the 6th tee is stunning and provides a real test. The course’s somewhat brutal charm continues all the way back to the clubhouse. It is a tough track, but highly enjoyable. Adjacent to the Quinta de Logo estate lies the older Vale do Lobo resort which has two courses. 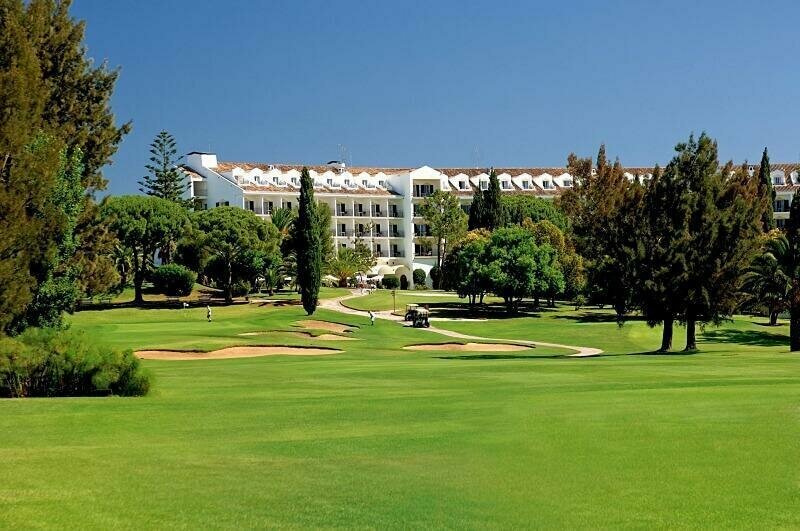 Vale do Lobo Golf Club was one of the first in southern Portugal when it opened in 1968. It has established itself as one of the best in the region and after various changes over the years it now features two 18-hole courses, the Ocean and the Royal. In some ways they have been overshadowed by some of the newer layouts on the Algarve but they deserve much credit for their condition and design. Don’t be fooled by opinions that consider the Ocean to be the lesser course, it is a joy to play. 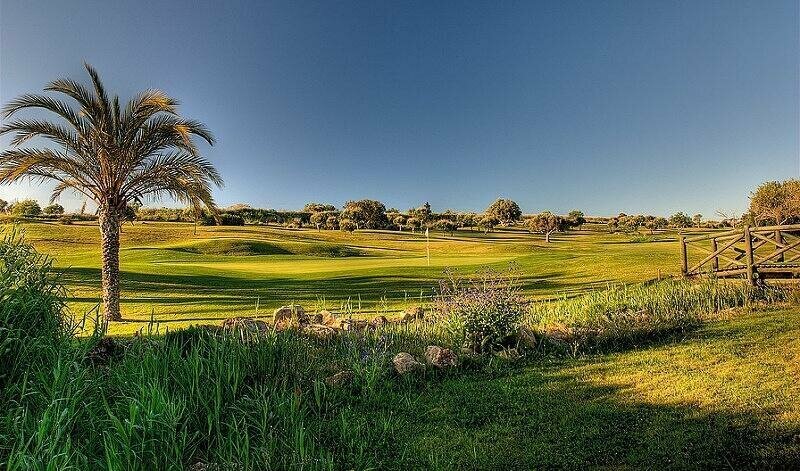 It excels with some spectacular holes that tax golfers of all abilities – notably the 3rd which weaves through an old olive grove and the dogleg 9th which requires an extremely accurate approach shot to an elevated green, avoiding a scenic cascade running half the length of the fairway to the left. The course gets its name from the superior back nine, which wanders through umbrella pines, where, as you will have gathered, it features some superb sea views. The seaside town of Vilamoura was conceived as a purpose built golf resort in the 1980s. It developed rapidly thanks to the huge influx of golfing tourists from across Europe in particular. Although lacking in traditional Algarvian charm it remains very popular with golfers who enjoy relaxing around the marina after a day on the course. 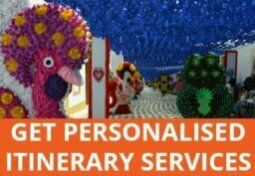 Its courses are all run by The Dom Pedro Group. There is little argument that the best is The Old Course built by Frank Pennink in 1969 and subsequently renovated in 1996. 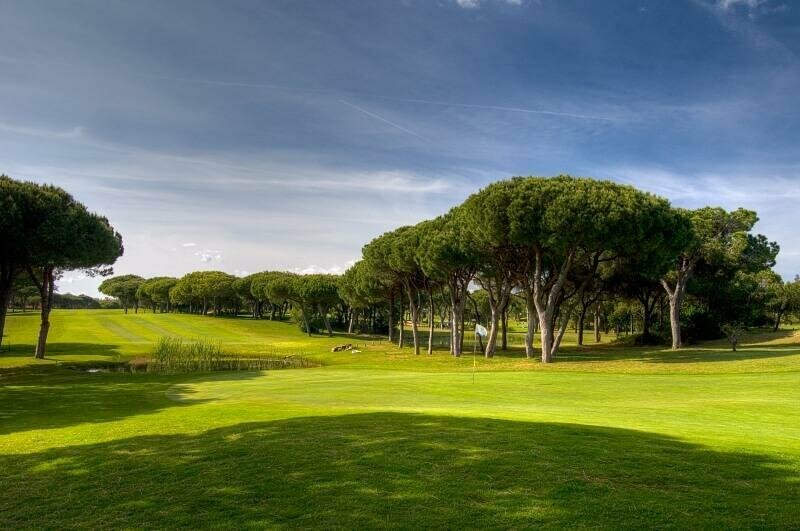 It’s a classic parkland design meandering through old pines and oleander and with a pleasing sense of maturity it is the one not to be missed on this part of the Algarve. Some would argue that the Arnold Palmer designed Victoria course, constructed in 2004 is superior and there is no doubting that this host of the Portuguese Masters has some great and challenging holes. Most would agree, however, that this plays second fiddle to its older neighbour, yet is definitely better than the other Vilamoura courses. Languna, Millennium and Pinhal complete Dom Pedro’s offering in the golfing hotspot and are very popular for their competitive pricing. Elsewhere in central Algarve are a crop of independents – the upmarket nine hole lay out Pine Cliffs, the nine hole par 3 Balaia Golf Village near Albufeira and the neighbouring Salgados, well-known for its water hazards. The Pestana Group, which has the remainder of its courses in the Western Algarve, operates the 27 hole Vila Sol complex to the west of Vilamoura towards Quarteira. The original 18 hole course was designed by Donald Steel and opened for play in 1991. The course blends nicely with the landscape weaving through umbrella pine, fig and cork trees, which frame the fairways. 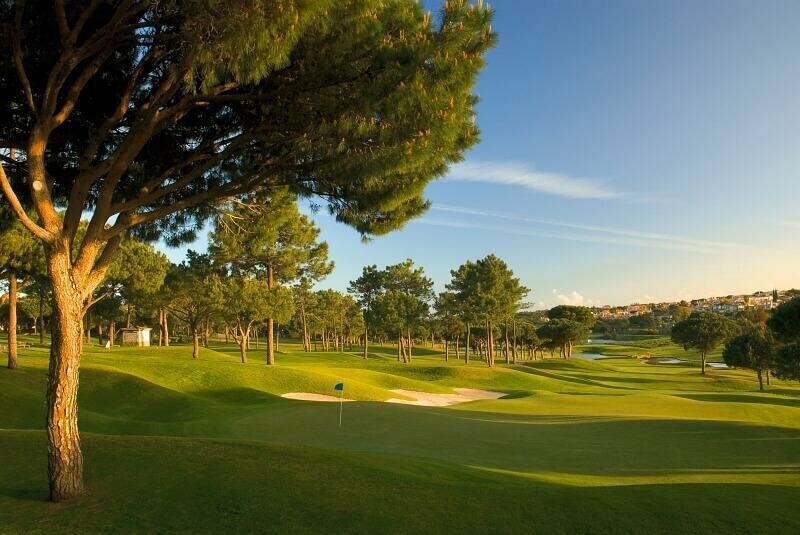 Vila Sol hosted the Portuguese Open in 1992 and 1993 and is regarded as a players’ course. Steel added nine new holes in 2000 and this loop, named the Prestige, fits in well. The Atlantic coastline alters dramatically to the east of Faro where the eye-catching red sandstone cliffs disappear making way for swathes of salt flats and huge flat beaches. This is known as The Eastern Algarve, an area which is on the up as a tourist destination, with coastal resorts springing up around the ancient Roman city of Tavira. A corresponding development of golf courses has also taken shape, although not to the degree of intensity as witnessed at resorts such as Vilamoura in the Central Algarve. 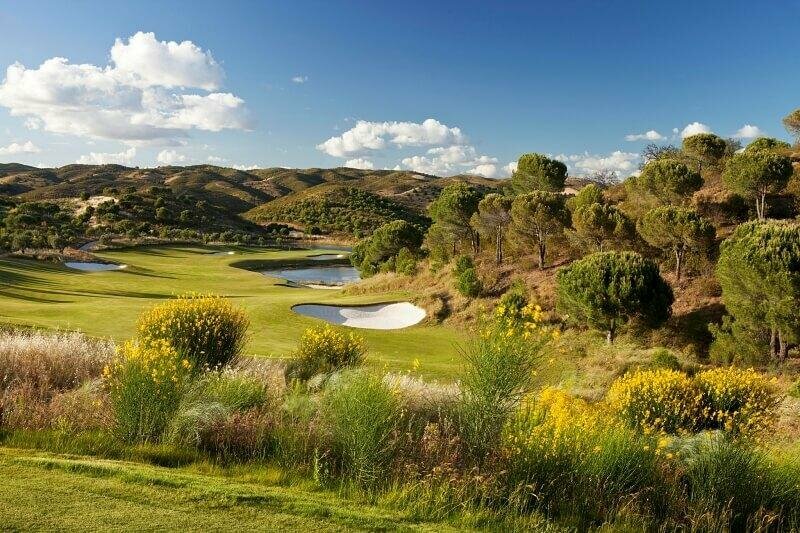 A big bonus here in the East has been the construction of Monte Rei Golf & Country Club, with a Jack Nicholas signature course that is generally rated the best not only on the Algarve, but among the finest in the whole of Europe, for its course, quality of service and attention to detail. There is talk of four more top end courses planned for the Eastern Algarve, but currently there are the excellent Quinta da Ria & Quinta de Cima to consider along with Benamor, Castro Marim Golfe and Country Club and Quinta do Vale. See also Why Is Golf In Portugal So Popular? for an overview of the golfing scene in Portugal. Golf travel journalist Andy Waple struck his first ball in Portugal in the early 1980s at Quinta do Lago and was immediately hooked. 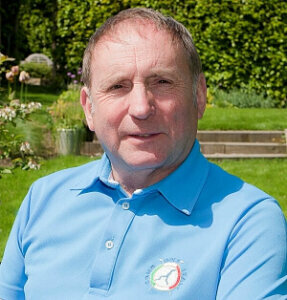 He has since travelled the world playing and reviewing some of the finest and far-flung courses and resorts and as a long standing member of the International Golf Travel Writers Association, his work has appeared in many UK based publications. Andy visits Portugal regularly to enjoy the country’s golf, culture and cuisine.